Check out other entries for this week at the Wordless Wednesday HQ. Oh wow that is too cool!! Now that is one serious tree. Cool! That is so cool. What a big tree! Wow ! 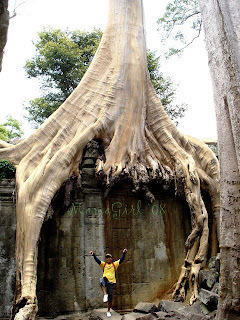 I am impressed what huge roots !! What an amazing place that must be!